A Zimbabwean, an Englishman and two South Africans walk into a bar…. Although what seems to be at first, the start of a good ‘dad joke’, this passionate young team is anything but a joke. Comprised of a young, rustic looking Zimbabwean Safari guide, an Englishman who plays ‘footy’ in his spare time and dreams of the Negev when taking long walks on the beach, a high school ‘forwards’ rugby coach who likes to think of himself as a bird guide and the South African version of Goldilocks herself, except barefoot and wearing khakis. Assembled from all corners of the globe much like a birding version of the Avengers, the ‘Birding Ecotours World Youth Birders’ is the first team of its kind to ever participate in the Champions of the Flyway bird race and only the third ever ‘international’ youth team. The spirit of youth birding is at their core and embracing it comes as second nature but striving to make a difference when it comes to the protection of our birds across the worlds flyways for future generations of young birders is what sets them apart from the rest of the flock. Passionate, energetic, enthusiastic, knowledgeable and driven, this is a team with a wind under their primaries like none before them as they campaign for our birds the world over and strive to make as much a difference as humanly possible all whilst having a blast, sharing their young outlook on birding and gathering the support of youth birders (and those young at heart) the world over as they carry through the theme of ‘birds don’t have borders, so why should we?’ and hopefully show the world that youthful drive and passion can make an almighty difference. John (22) has been interested in the bush and nature since he was a child and has been traveling around South Africa with his family in their ongoing pursuit for wildlife since he was a mere eight months old. He has a variety of varying interests, but biodiversity and conservation are where his heart lies, with birds occupying most of his time. John is currently studying toward an LLB degree through the University of South Africa but is also a qualified Nature Guide through the Field Guides Association of South Africa (FGASA) where he holds both Terrestrial Level 1 and National Bird Guide qualifications. John’s infectious passion for the world’s avian gems and their conservation is portrayed in his high energy, enthusiastic approach to life, and just like in his rugby days, his willingness to tackle challenges head on. He also works as both a tour leader and social media manager for Birding Ecotours. 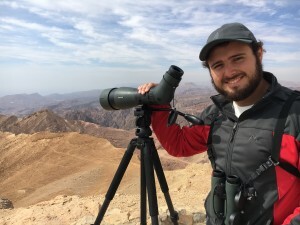 Being one of Southern Africa’s foremost young birders, having observed over 850 species on the subcontinent, his eagerness to see and learn more has seen him travel abroad to many other countries across the globe in his constant avian pursuit. These include the likes of China, Australia, Israel, the southern Oceans, the United States and the United Kingdom (England and Scotland), and he is also one of only six people to have ever seen over 800 species in the southern African sub-region within the space of a calendar year and set the record for the youngest person to ever do so (19 years old, 2014). John also formed part of the history making southern hemisphere youth birding team who participated in the 2017 Champions of the Flyway event, the team raising in excess of €8 800 for Doğa Derneği (BirdLife Turkey) resulting in the team being crowned both the ‘Guardians’ and ‘Knights of the Flyway’ titles; the first ever team from the southern hemisphere to be honored with an awards. John’s incredible love for nature and conservation shines through in all aspects of his day to day life and he likes to use the term ‘BirdVenturer’ to best describe himself, someone who is somewhere between a birder and an adventurer, traveling the world sharing his tales with like minded folk and generating awareness and funds for crucial conservation causes as he tries to make a difference. James brings with him invaluable COTF experience having participated twice before in this gruelling race as a member of the ‘Next Generation Birders’ team and having been around the event and its festivities for the past four events, allowed himself to become familiar with the country’s birds as if they were in his own backyard. His interest in wildlife and nature stemmed from his childhood but his main interest for birdwatching hatched whilst birding along the flyways in Eastern Europe; Bulgaria in particular, enjoying the bountiful amounts of raptors alongside the more common and scarce passage migrants. This interest further grew upon his return to the UK, where he bird watched his local gravel pits and nature reserves whenever the opportunity presented itself. Conservation quickly grew into a huge part of his interest and passion for wildlife, Biology, Ecology and Conservation through skills gained at both school and college. 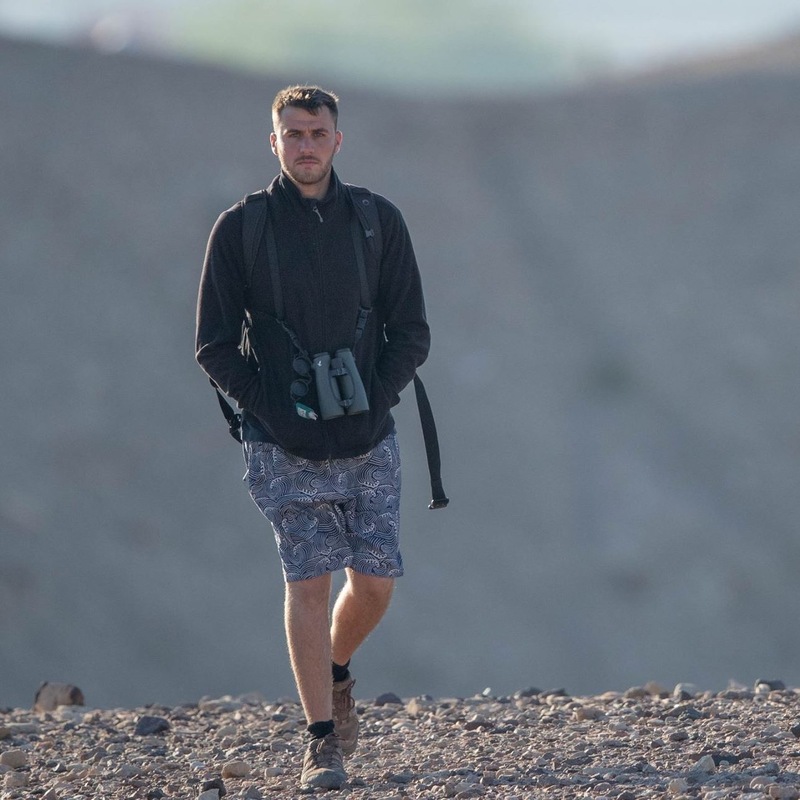 Although his career path took a turn away from this, his desire and want to help our birds on migration never ceased, and after a year ‘out on the sidelines’ is back hungrier than ever to succeed and make a difference bigger than ever…. After being one of COTF foremost young birders have taken part in the international event, he now finds himself the second OAP (old age pensioner) of the team, having now seen over 420+ species within the UK he is very slowly edging closer to his dream target of 500, hopefully before he becomes and actual OAP. Having secured Knights of the Flyway in 2015 and a very respectable 3rd place in 2016 James is hoping all his knowledge of the playing field and event as a whole will help the team go that little bit further, smash all previous funding records and race positions set by race participants and all whilst helping a whole host of birds, people and communities affected by the ongoing issues accompanying the mass killing of our birds on migration and most importantly having a whole load of fun at the same time! 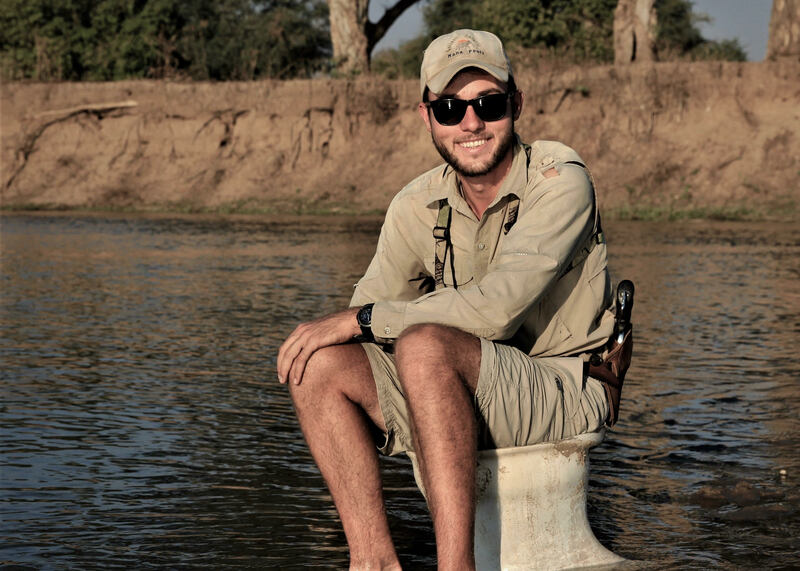 James firmly believes that If the team can inspire one more person to be inspired, get involved or find their passion for wildlife and make a difference going forward, then it will all be worth it. The rose amongst the thorns, Toni’s (18) love for nature started from a young age having grown up in a wildlife conservancy where Zebras mowed her lawn and Fiery-necked Nightjars serenaded her to sleep. Rather than spending copious amounts of time sitting behind a computer or a TV, she spent most of all her school holidays exploring the famed Kruger National Park, traipsing around barefoot and picking up all sorts of creepy crawlies in sheer awe and admiration. Her love for birds and birding stemmed from her father, who would often take her out with him every at opportunity he got, teaching her the ropes in between having to deal with her picking up Bullfrogs to take back to the house for ‘show and tell’ sessions. Before she knew it, she found herself ticking off the more common birds she was seeing and once the listing bug bit, her passion and love for birding began to grow at an exponential rate. Although the initial foundations of her newly fledged lifestyle, her love for listing soon developed into a deeper appreciation for birds, their conservation and the breathtaking variety of over 10,000 species across the globe. Having just finished high school, Toni has set her sights on pursuing both a degree in Zoology and Botany through the University of South Africa as well as obtaining her field guide qualifications through the Field Guides Association of South Africa (FGASA), all whilst beginning to expand her horizons, travel more and explore what the world has to offer in terms of the plethora of bird species which have been enticing her for so many years. 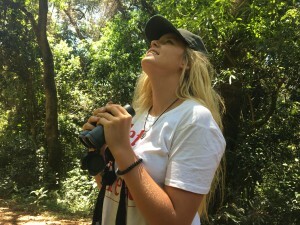 Toni’s passion for birds has seen her record close on 750 species on the southern African sub-continent, ranking her as one of the country’s highest under 30 female listers, at the tender age of 18! Passion, enthusiasm and a positive outlook in even the toughest situations, accompanied by eyes sharper than a migrating Steppe Eagle, she will no doubt be a crucial asset to this young, dynamic team of global youth birders. The grandfather of the group clocking in at an ancient 25 years of age, Jean-Michel Blake was born and has lived most of his life in Harare, Zimbabwe where his passion for wildlife started and further over the years as he explored the area’s biodiversity. Since his teenage years, Jean has been a part of various birding and conservation groups and after finishing his A levels decided to pursue a career as a Safari guide. This challenging yet fulfilling occupation has seen him work in several national parks within Zimbabwe spending the majority of his guiding career in the famed Hwange and Mana Pools reserves. Jean decided to further his passion for birds when he started bird ringing back when he was 17, and has since obtained his ‘A’ license through SAFRING. He is also a very eager participant of various citizen-science projects coordinated by the Animal Demography Unit based at the University of South Africa, contributing valuable data to various Mapping projects such as the 2nd South African Bird Atlas Project. In between guiding in Mana Pools, Jean finds himself exploring the Spotted Creeper-ridden Miombo woodlands on the outskirts of Harare, his local patch, and assisting in expanding the growth in this 3rd world country of the increasingly popular lifestyle of birding. Excited at the prospect of being able to make a difference, Jean is a crucial asset to the team as he strives to bring to the attention of hundreds of Zimbabweans, the importance of birds and bird conservation and how Zimbabwe falls into the equation when it comes to the massacre of birds across the Mediterranean flyways.